Microsoft has made its new Windows Azure Infrastructure Services generally available and pledged to match Amazon Web Services prices for commodity services such as compute, storage and bandwidth. The new service combines Infrastructure as a Service (IaaS) , Platform as a Service (PaaS) and hybrid services and uses both Windows and Linux based software together. 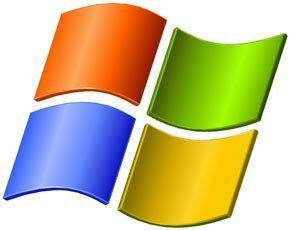 The general availability means Microsoft computers running Linux and Windows Server virtual machines (VMs) on Windows Azure are now officially available for production apps and are backed by Microsoft support – nearly a year after it started testing the service among some of its customers. “Customers don’t want to rip and replace their current infrastructure to benefit from the cloud; they want the strengths of their on-premises investments and the flexibility of the cloud,” Hilf said. According to Hilf, customers don’t want to have to choose either a low price or good performance but they want both a low price and good performance. “That’s why we are also announcing a commitment to match Amazon Web Services prices for commodity services such as compute, storage and bandwidth,” he added. Microsoft has reduced the general availability prices on Linux and Windows Server virtual machines and cloud services by 21-33% to match Amazon's Elastic Compute Cloud (EC2) prices. “If you had concerns that Windows Azure was more expensive, we’re putting those concerns to rest today,” said Steven Martin, Microsoft Azure’s operations general manager. Microsoft has also added in new high memory VM instances (28GB/4 core and 56 GB/8 core) to run users’ demanding workloads. As enterprises begin to run intensive applications on the cloud, Microsoft has also added in a number of new Microsoft validated instances to SQL Server, SharePoint, BizTalk Server, and Dynamics NAV. Part of Microsoft’s cloud computing strategy, the new Azure Infrastructure Services come at a time when public cloud providers including Amazon and Google are launching price wars to attract customers.